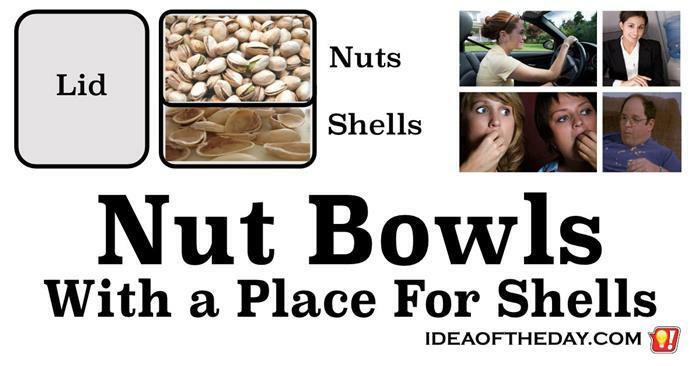 I like to eat nuts that are in their shells, but I hate looking for a place to put the shells. It doesn't matter if I'm sitting at home, at my desk or in my car. There never seems to be a place to put the shells. Think about it. if you have a party, and you put out a tray of pistachios, walnuts, or whole peanuts, what are you and your guests going to do with all those shells.